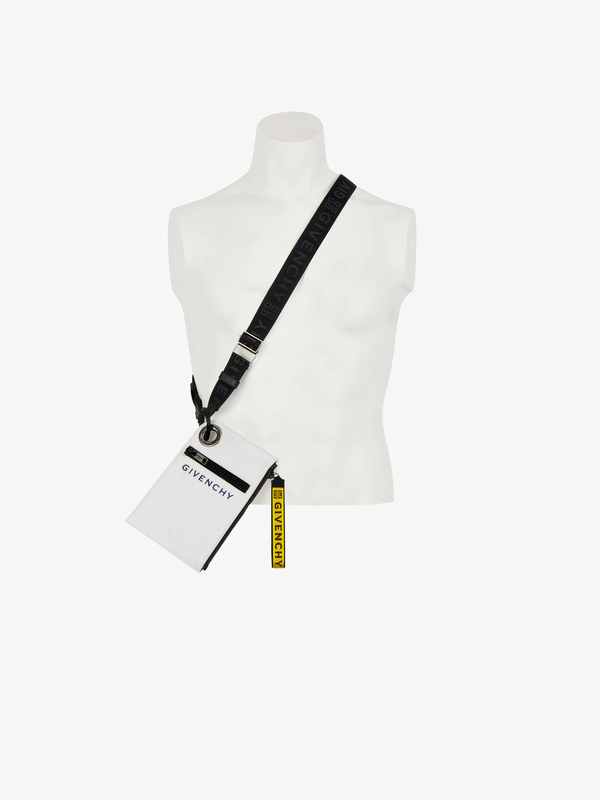 Zippered JAW clutch in off-white coated water-repellent canvas with blue rubber GIVENCHY signature, yellow and black GIVENCHY 4G jacquard band wrist strap zipper pull, and GIVENCHY PARIS engraved metal eyelet with black metal ring-snap hook to wear as a belt bag. One small zippered pocket on the front. 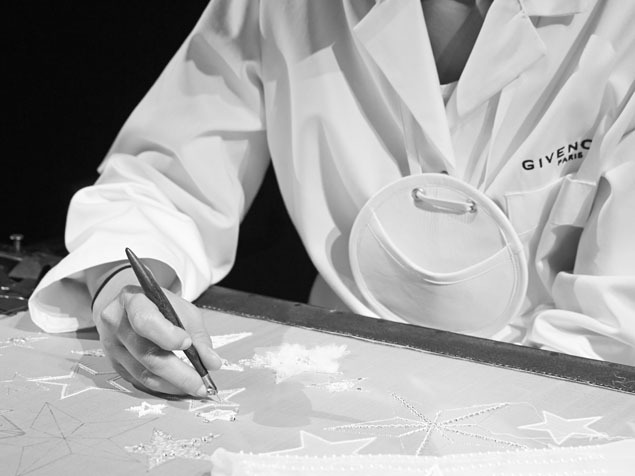 Removable, adjustable shoulder strap in black GIVENCHY 4G jacquard to wear as a crossbody.